New and improved comparison between the Odyssey and Cold Mountain, though I suspect I can spend the rest of my life comparing the two books and not be done. 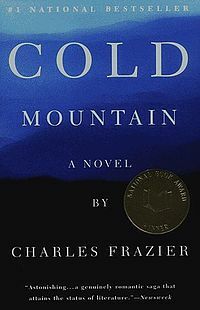 I also include comparisons between Cold Mountain and works from American literature. I'm going to have my students use the following document as a jumping off point for a comparison they want to make between Cold Mountain and a work that it is clearly referencing. Students who enjoy Greek literature can use the Odyssey, while those who favor American works can use those for their analyses.